Crack ’em open. Lobster and beer lovers unite. Solid, cast brass bo4le opener cracks open cold ones on demand. 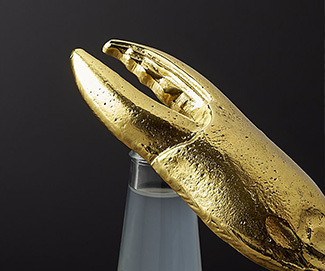 Hard-shelled claw lays flat on one side and holds heavy in hand. 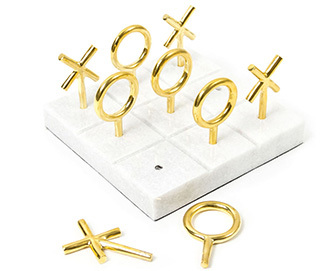 Play to win with this posh brass and marble Tic-Tac-Toe set. The grooved marble base is the perfect board for our sculptural brass playing pieces. 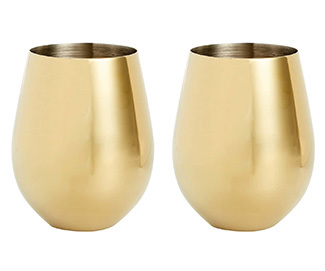 Enhance your tasting experience while elevating the aesthetic of your home bar with a set of polished, gold-plated stemless wine glasses. 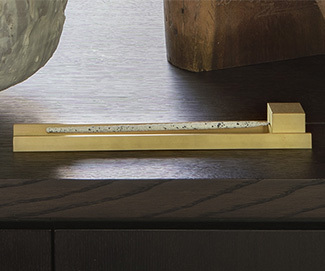 Relax with the Marmol Radziner Incense Burner. Handcrafted in natural brass, the incense burner will provide an elegant and safe surface to use your incense collection. 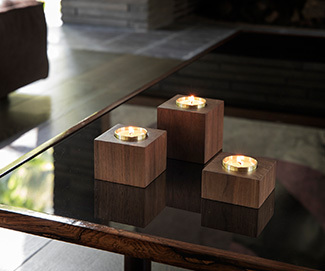 Set of three Marmol Radziner solid walnut candle holders with natural brass inserts. Three 100% all natural soy wax candles included. 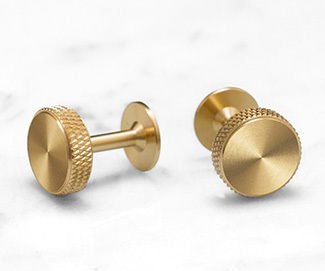 Handmade in Los Angeles, each piece is made of solid wood finished with a food-grade mineral oil and natural brass. Made from a solid metal bar and machined to perfection. 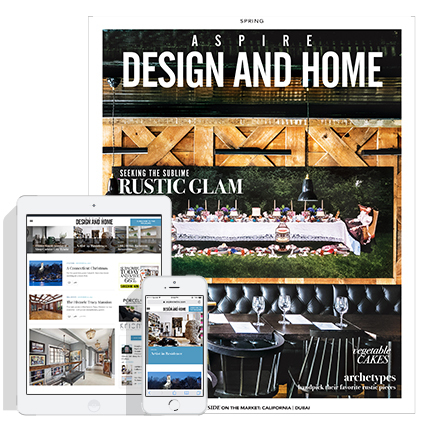 Available in brass, matte black and steel. Finished with signature knurled detailing. 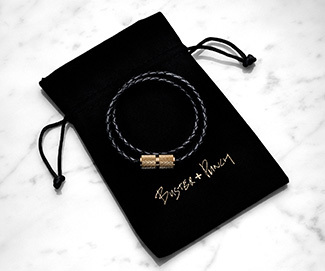 A real pleated nappa black leather rope bracelet finished with brass hardware. Made of solid brass, steel or matte black metal. Comes complete with a hand blown glass vase. 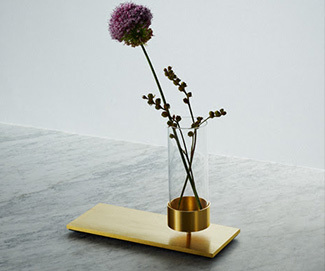 The MACHINED Vase is the perfect fit for flowers and plants. 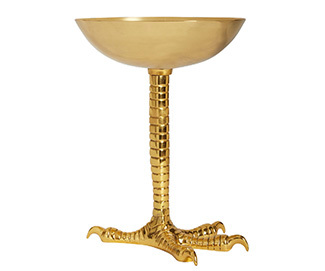 Like a fine wine or your favorite leather jacket, Jonathan Adler brass only gets better with age. 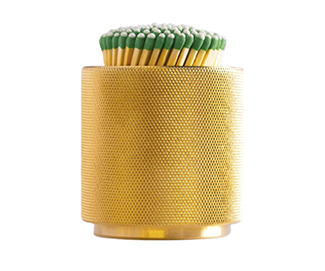 Machined of solid brass, this match striker and holder from JFM pairs a vertical cylinder design with a knurled surface for easy scratching and striking. Each time you strike a match, you’ll leave behind a mark on the striking surface, adding your own history of use to this special piece. 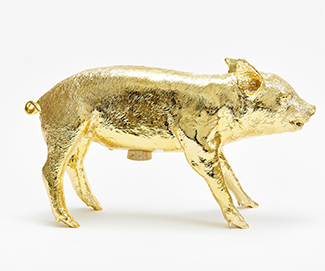 Here, a pig that died of natural causes becomes a bank. The bank holds up to $10,000 in dollar bills.